Unleashing the backdrop of economic downturns, political analysts comment on the impact of Lehman Brothers collapse, the rapid upsurge of Asian tigers, the crisis of capitalism and rising public debt, aiming at indicating deficient political and institutional distortions in Europe. 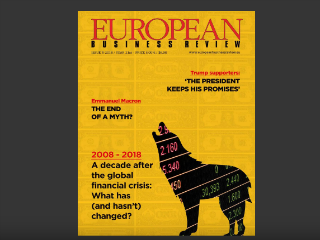 EBR magazine includes the up-to-date special report «A-decade after the global financial crisis: What has (and has not) changed». Economists attribute the structure of the financial system as an underlying cause of the crisis, as well as an ideology of omnipotence and self-regulation of the market. At the same time, they warn for new and complex deadlocks for the global economy, which will be accompanied by international economic stagnation, explosive deficits, rising product prices, competitive crisis, lack of investment opportunities, looming inequalities and inability to create new job positions. Being always at the center of European developments, the article «Macron, the end of a myth», examines the internal political turmoil faced by the French president, Emmanuel Macron, on the basis of the forthcoming European elections. With the tax changes as well as the resignation of Nicolas Hulot, the French official saw his popularity sliding at rates lower than his predecessor's. In the same vein, the text «Time to Ask Eurosceptics what they would suggest» focuses on the emergence of Euro-skepticism and the election campaign of populist parties in the EU. By focusing on critical issues -immigration, Brexit etc. 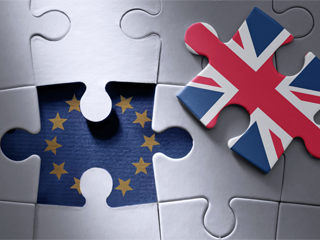 – Eurosceptics intensify the climate of fear in many parts of European society. Simultaneously, it is being noted that in the context of the 2019 European elections, liberal leaders must face up to the challenge of populism, prioritizing cooperation, solidarity and values as part of an organic whole that supports a prosperous and open society. Taking note of the current political and economic reality and the impetus of international business, the article «Trump supporters: The President Keeps His Promises», includes a survey on President Trump’s governmental action. When many others denounced Trump’s inhuman policy of separating refugee children from their parents, the US president enjoys the trust of 40% of the electorate, with the number of supporters rising rapidly. As a result, several analysts predict that he will be re-elected in the presidential race in 2020. Last but not least, the new issue contains unique photographic material from the exhibition "Pierre Bonnard - The Color of Memory", which takes place from 23 January to 6 May 2019 at the famous Modern Art Gallery "Tate Modern". In an exclusive interview with EBR, the Assistant Curator of the exhibition reveals aspects of the artist's life and explains why Bonnard is acknowledged as one of the top 20th-century creators, leaving his mark on abstract art.